I believe that choosing the right location for your wedding is one of the most important decisions that a bride can make, almost as important as your Manchester Hilton wedding photographer! 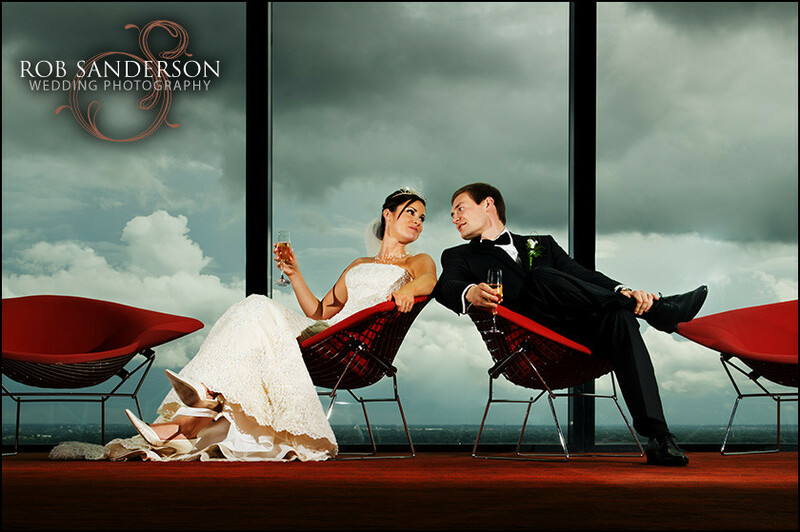 Cloud 23 at the Hilton Hotel, Manchester, is the perfect choice for you if you want a wedding venue that is both unusual and striking. 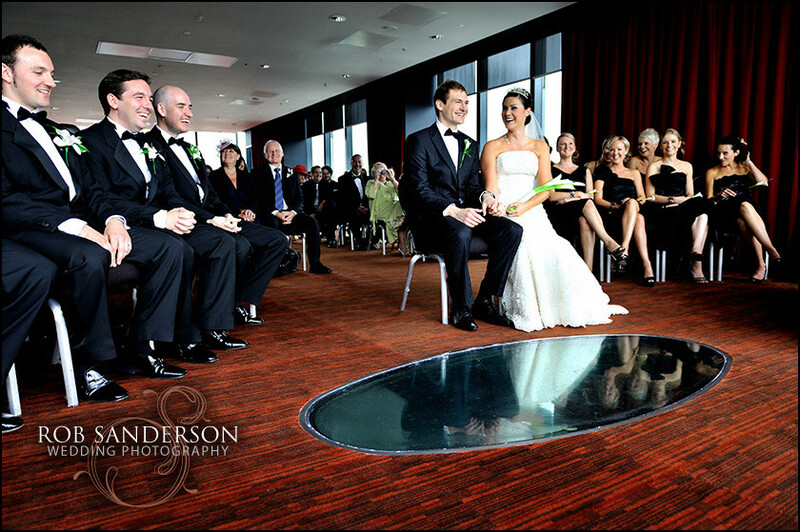 Cloud 23 has high levels of service and out of this world views for your wedding that is guaranteed to wow your guests. 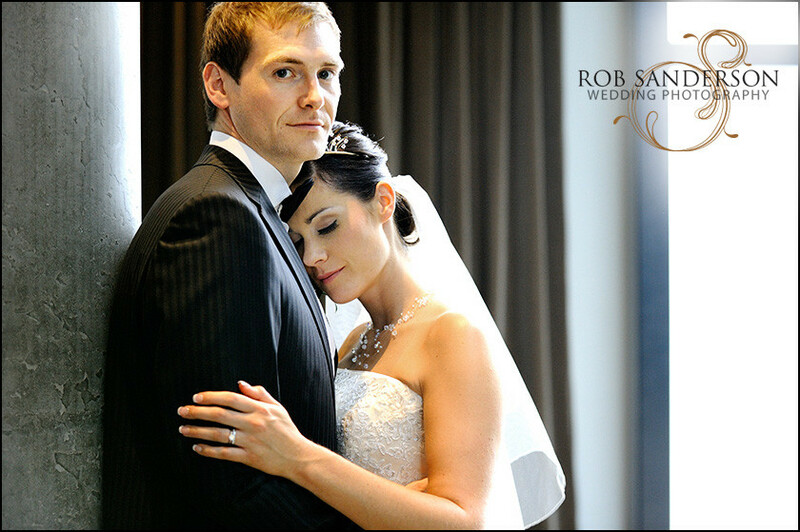 The light in the Manchester Hilton is sublime for wedding photography and your wedding photographs will really shine and look amazing. 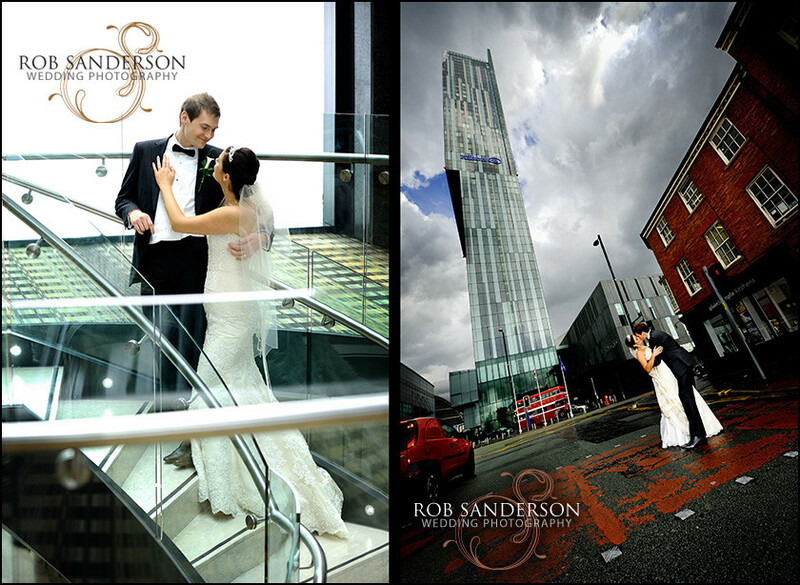 This is an ideal venue for Manchester wedding photography. Cloud 23 is situated inside the Hilton, Deansgate, Manchester, and boasts stunning views of the city through its glass walls and elevated position on the 23rd floor. This city centre hotel represents a unique and stylish venue for the modern and fashion conscious couple. Cloud 23 offers the highest level of service and is fast becoming the wedding venue for couples wanting something really unique and classy. Being part of the Hilton group, there is a wide variety of facilities and service of the highest standards as one would expect. More than just the panoramic views of the city, the rest of the Hilton is finished to a very high standard and a wedding venue to be proud of. As a wedding photographer, this is a fantastic wedding venue to photograph your wedding in. It has it all, helpful staff, photography friendly registrars and a location the weather really can’t spoil with guaranteed spectacular backdrops rain or shine. 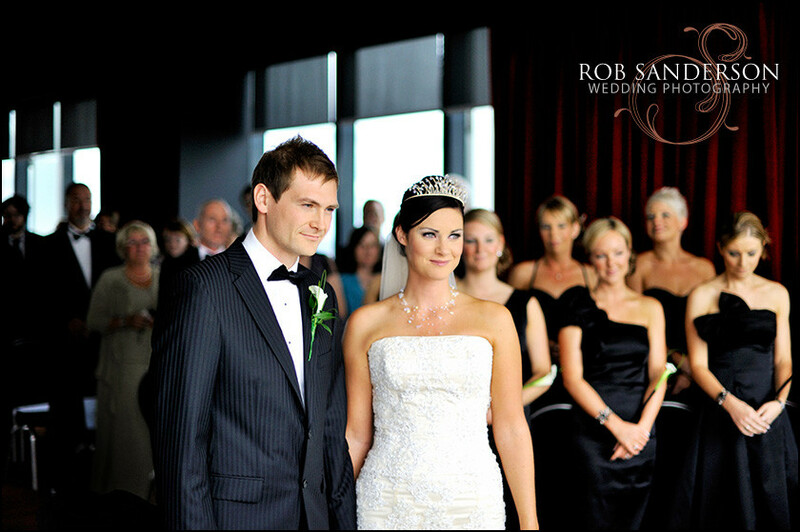 If you’re planning a wedding at Cloud 23 and are looking for one of the top wedding photographers in Manchester, Liverpool, Cheshire and the North West of England, please contact me, ‘Rob Sanderson’ to arrange to see more from this beautiful wedding venue. My photography style is unique and captivating, please feel free to browse through my wedding gallery to see more pictures I have taken at weddings in Manchester, Liverpool, Cheshire and the North West. 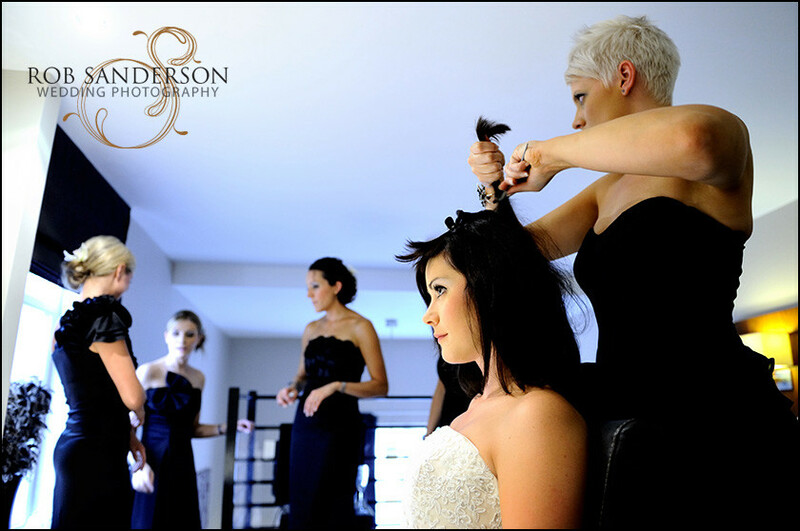 The Hilton Hotel offers the highest level of service in its city centre location that makes it one of the most striking wedding venues in Manchester, with a wide variety of facilities and service of the highest standards. From a wedding photography perspective, this is a wedding photographers dream. Due to its unique birds-eye view background this makes for some truly amazing wedding photography pictures. This is one wedding venue for couples with their feet on the ground and their heads in the clouds. 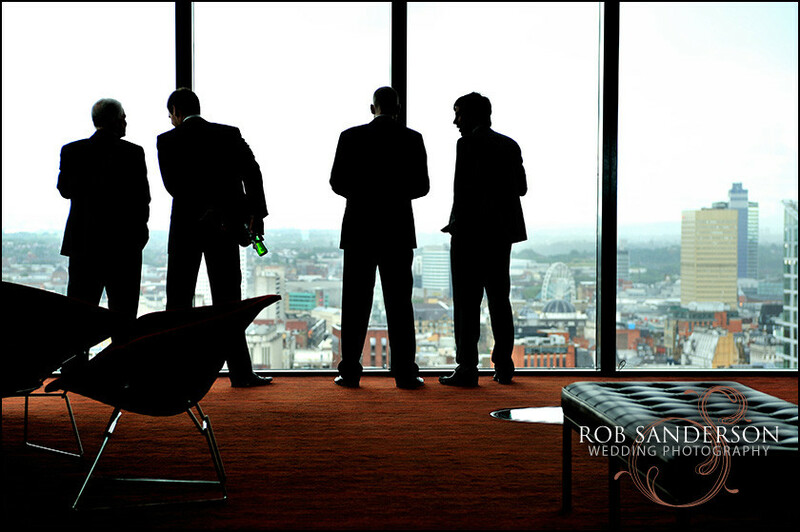 If you are looking for a Manchester wedding photographer or more specifically, a wedding photographer at Cloud 23, please do not hesitate to contact Rob Sanderson on 07775 503 659, one of the most experienced wedding photographers in Manchester. 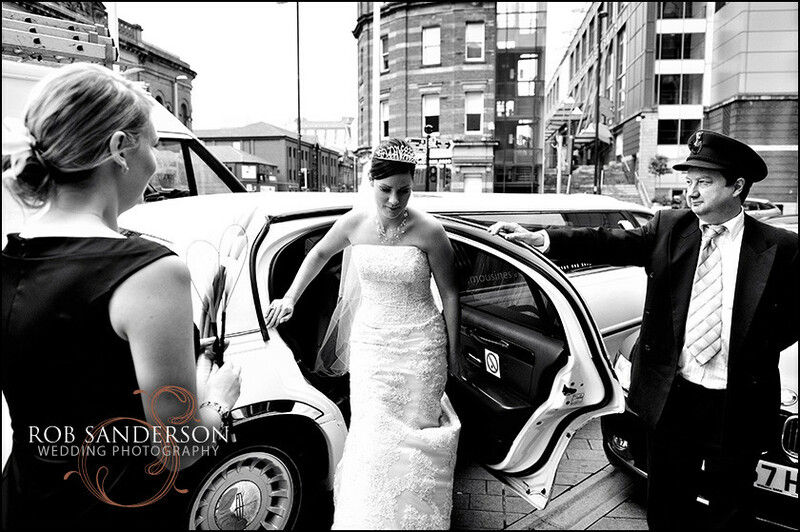 If you are getting married at other wedding venues in Manchester, you might like to visit some of our other wedding photo pages including the Castlefield Rooms weddings and the Manchester Town Hall weddings pages to see more great wedding images from venues in Manchester.